Sometimes it’s not enough to build a company, in some cases an investor needs to help create the industry that he or she wants to be part of. This is what I am working to do as a real estate developer and member of the Forbes Real Estate Council. After having sold my multi-million dollar business, I focused on growing my real estate company: Peace, Love and Happiness Real Estate which uses eco-friendly materials. My first visit to Cuba was in 2015. It was love at first sight. Life in Cuba is all about passion and simplicity and I decided I wanted that life. I wanted to give others the joy of visiting Cuba and so I decided to support the development and expansion of infrastructure to meet the growing demands for tourism. My husband, Geoffrey, and I are partnering with Cubans to offer tourists modernized apartments in Old Havana which we are painstakingly rebuilding. We work directly with local artisans, schools, and craftsmen to promote a new kind of experience for tourists that promotes eco-tourism and cultural connection. It’s a reciprocal relationship. We are learning the needs of the Cuban people as well as sharing our real estate expertise. Wherever you seek to invest, work to develop and enhance the capacity of local people. This is especially important in countries like Cuba where mentorship is limited. Cubans are allowed to rent out rooms in their houses. Known as “casas particulares” or private homes, this is a cheap option for the five million tourists who visited Cuba last year. Hotel stays are quite expensive, so the “casas particulares” offer a great alternative. Renting out rooms is one of the few avenues that has always been to Cubans who wish to become entrepreneurs. I have helped the owners of “casas particulares” to enhance their properties and to market their rooms more effectively. I also encourage them to charge more once these improvements have been made. Air BnB is an important differentiator and I have worked to promote local ventures through this vehicle. In these ways, I have promoted the short-term hospitality industry as a whole. For me, creating relationships based on trust is a key part of business development. This is especially true in Cuba, where anti-American sentiment runs high. To show my commitment to Cuba, I have brought books to Cuban schools and provided hard-to-find tools to builders. The first time we went back, I brought 500 books in partnership with First Book. I filled four suitcases with books. The suitcases were from Goodwill and I donated these as well. My business partner, Eddy, helped us take the books out and donate them to the grammar school he attended as a child. I will always remember the look of pride in Eddy’s face as he shared the books with Cuban boys and girls. Everyone was delighted. It was a win-win-win. One of the best things I did was to think outside the box and create partnerships with other types of vendors. For example, I created a strong connection with a local spa in Old Havana. This helps to promote local business, but also creates opportunities for the guests who visit my properties to have an even better stay. On our fourth trip to Cuba, I created a pen pal project with our partners Imajine That and Up Academy in Dorchester. This was an exciting way to connect children and teach them about geography while having fun. We brought our friends and family to Cuba, which went a long way to show Cubans that we were invested in the country and its people. We got to know the families of our business partners. Family is important to us and to the Cuban people and provides a common framework for building trust. For decades, Cubans have heard about the evils of capitalism, so it’s important to take time to connect on a personal level. We sat down to many dinners together which has helped to build trust. In this way, when building trust — fast is slow and slow is fast. We are working to build capacity among Cuban entrepreneurs. One way that we do this is to advise local businesses on marketing. I have encouraged local ventures to make business cards and develop promotional materials which will appeal to tourists. This kind of mentorship makes a big difference. We are also working to share a new vision of capitalism with Cubans. Earlier this year, I invited a team from the Americas to meet with Cuban entrepreneurs to share a vision of a form of capitalism that serves the needs of society. The delegation included leaders from the U.S., Brazil, Mexico, and Costa Rica who work to promote Conscious Capitalism. The Cuban entrepreneurs were young business owners eager to learn and share their vision with us. While the delegation shared knowledge and experiences with the young entrepreneurs, as they listened entranced, the visitors learned so much from the laboratory that is Cuba. The delegates from the Americas first met the architects working with me atop the Hotel Ambos Mundos, where Ernest Hemingway lived and wrote some of his most well-known books. Over mojitos, the group learned more about Cuban history and the sheer determination of Cubans to survive through starvation and fear. The Cuban entrepreneurs were worried about meeting with us. Many of the people invited were too frightened to attend the workshops. 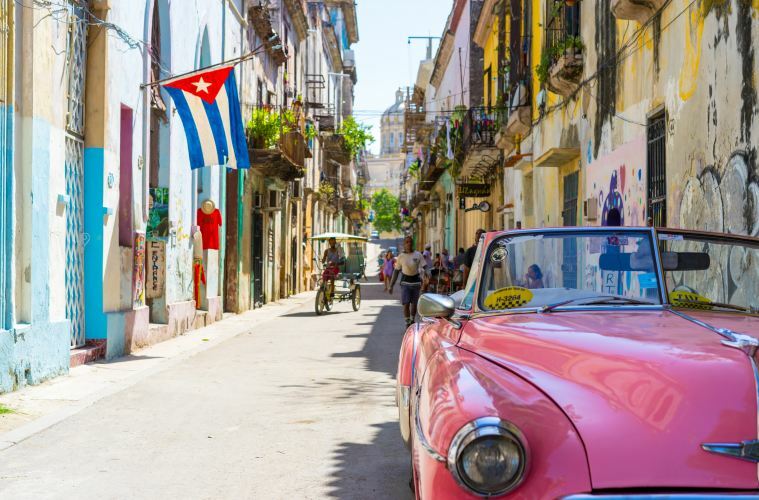 Over the course of several days, the group explored the strengths and weaknesses of Cuba and the dramatic changes that the country is undergoing. Cuba’s literary rate is among the highest in the world, as 97 percent of the population can read and write. All Cubans have access to medical care. Art, music, and dance flourish. The Cuban people have a deep sense of respect for their history and this shows in the extensive renovations currently being undertaken in Old Havana. However, parts of the city are literally crumbling. Geography has blessed Cuba with some of the most beautiful beaches and landscapes in the world. The country has very little exposure to pesticides or genetically-modified organisms. However, economic sanctions have crippled the economy, and items like toilet paper and soap are in short supply. Open dialogue is just beginning in Cuba. Through my work, I am promoting disruptive innovation which will benefit many Cubans while also opening up one of the most beautiful countries in the Caribbean for tourists who might not otherwise be able to visit. Viva Cuba! Susan Leger Ferraro is the CEO of G3 and Imajine That, as well as a real estate developer and humanitarian. Deborah Leipziger is an author, professor, and consultant, specializing in sustainability and corporate responsibility.